A children's online science dictionary is a great resource for parents and students. The field of science brings with it complicated words that are not common. An online dictionary specializing in scientific terms is a convenient vehicle for quick reference. The search for a children's online science dictionary can be as simple as using sites recommended by a student's teacher or school district. 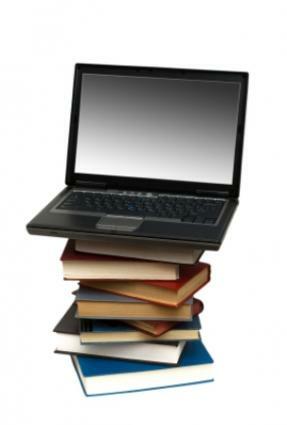 Many online resources for kids are available through local library websites as well. In addition to these reliable websites are online dictionaries that feature scientific terms. Each has unique things to offer and students can use the sites according to their specific needs. The online resources for kids offer information organized by topic and by age. Some offer general scientific information, while others are specialized to a specific subtopic. The children's dictionaries make complex terms simple through language that is easy to understand. Illustrations and examples offer additional supplemental information that is easily digested. In addition, dictionaries for advanced students offer challenging definitions that may inspire more questions. Edventure Term Browser has a generous list of educational terms, including words for science. Each word has a definition and an example written in clear, simple language. The examples are excellent for helping students apply the concept to their environment. This site lists animals, physics, math, geology and other subjects relevant to the field of science. The Harcourt Science Glossary is a great resource that allows visitors to sort through the scientific terms by grade level. Lists are available for students in first through sixth grade. Each word has a short definition written on the appropriate reading level for the section. In addition, a vividly colored illustration accompanies the definition. Students in middle school can benefit from online dictionaries as well. Some elementary students may find these resources valuable if they are in gifted programs. Yahoo Kids has an entire section devoted to science and it has a reference section that includes an online kids' encyclopedia and online dictionary. The dictionary does not list words; instead, it allows visitors to look for definitions in its search engine. The definitions are suitable for older students and they contain advanced terms. Geology.com features an online dictionary relevant to earth science. This site is for older students and it uses advanced language. A definition may include terms that are difficult for kids to understand and they may have to look up some of the terms in the definition, such as impermeable and intermittent. Visual learners may appreciate the Visual Dictionary, an online dictionary that uses pictures instead of written words. This unique resource is excellent for students with autism and students learning English as a second language. The images are colorful graphics that represent people, objects and concepts, including those related to the field of science. The Internet is a seemingly endless resource filled with information about every topic imaginable. A children's online science dictionary is just one of many great resources for students from kindergarten through college. No matter what age or level of ability, resources are available.